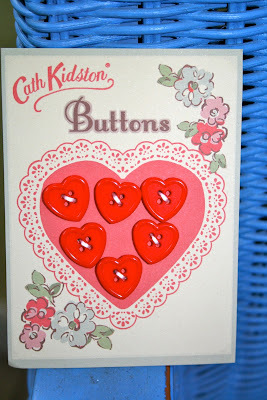 For Valentine's Day my husband had me do alittle online shopping with Cath Kidston. Ordered on Feb. 9, it arrived yesterday. Something about a delay in customs. Pure torture on my end. Look at the beautiful mailing envelope! This is the bag I chose. I'm in love. Roses in March, I'll take them anyway I can get them! It feels like I'm carrying a garden on my arm. I also couldn't pass up this darling little card of buttons. I don't know if I'll ever be able to take them off the card as they are too cute to remove from it. It's amazing how a little Cath can brighten a day. I love Cath! I ordered from them too but didn't get that gorgeous envelope! What a lovely gift! that's my idea of the perfect valentine, renee. Cute bag and those buttons are darling (I would keep them on the card for sure). If your bag goes missing (wink)...don't come over and look in my closet. It was so nice to see you the other day and thanks for the advice on buying fabric. What a beautiful bag and such a sweet hubby...he did good! That bag is so cute! I've never ordered from her, but have always wanted to! I love this bag! What a great gift. Hoping you have a great day!! You are one lucky gal, what a sweet husband you have! 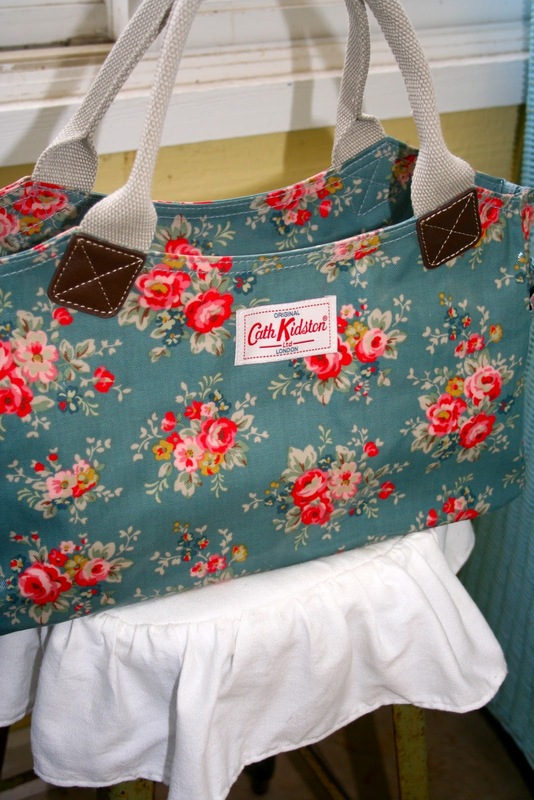 I love Cath Kidston, who doesn't :) I have to say you shopped well. Wow! What gorgeous gifts! THat was so nice of your husband to have you do this! 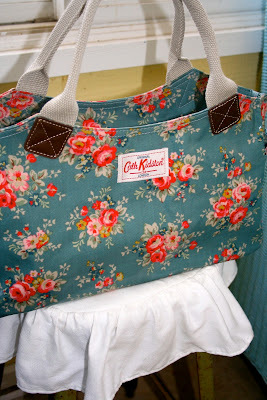 Oh how I love that bag...anything Cath Kidson. It is sooo you. Smart and sweet hubby you have there. I wouldn't be able to take those buttons off the card either. Too,too cute. 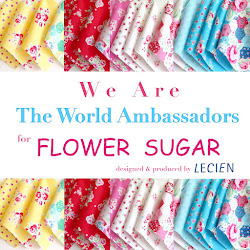 I going to get out my Cath Kidson catalogue and drool. That's just about the most beautiful bag I've ever seen!